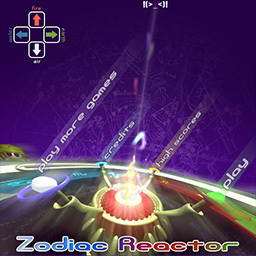 Description Capture Elemental Particles in order to power the Zodiac Reactor—an ancient device capable of creating stars! Use the arrow keys to capture elemental particles as they arrive near the center of the reactor. Press the key that corresponds to the elemental color at the correct time.